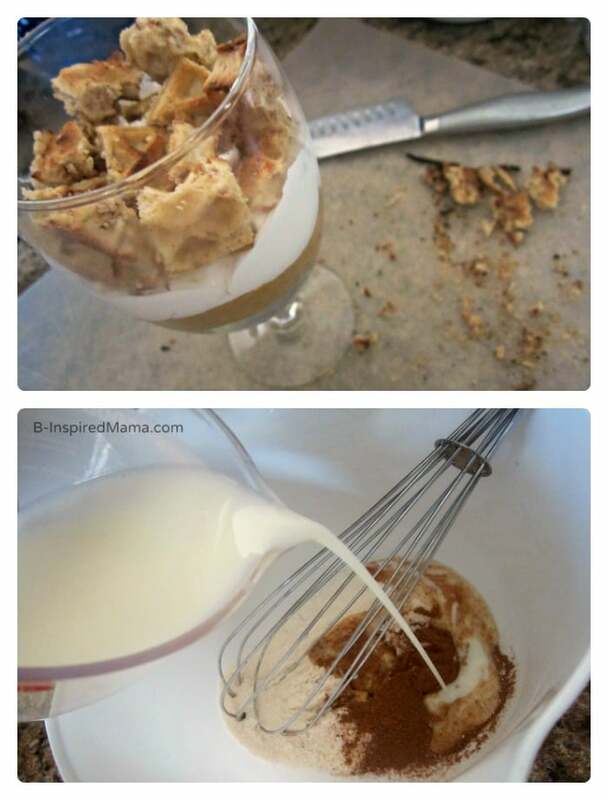 In a mixing bowl, whisk together pudding mix, pumpkin pie spice, and milk until smooth. Fold in pumpkin puree and set aside. Toast wafflers until crispy. Chop into 1/2″ pieces. 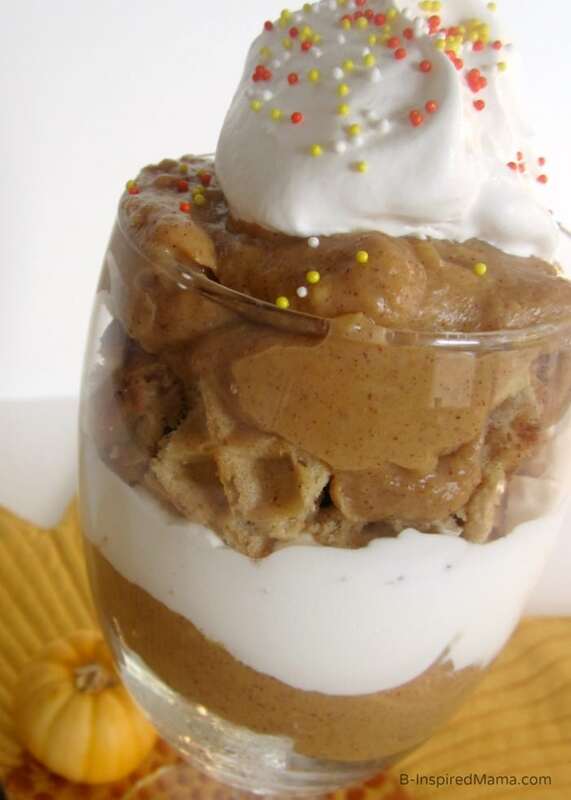 In a bowl or glass, let the kids layer waffler pieces, pumpkin cheesecake mixture, whipped topping, and then repeat. Have them add some fun sprinkles to the top. My kids love parfaits. They love layering all of the ingredients themselves. And eating them out of mama’s fancy glasses is fun, too. 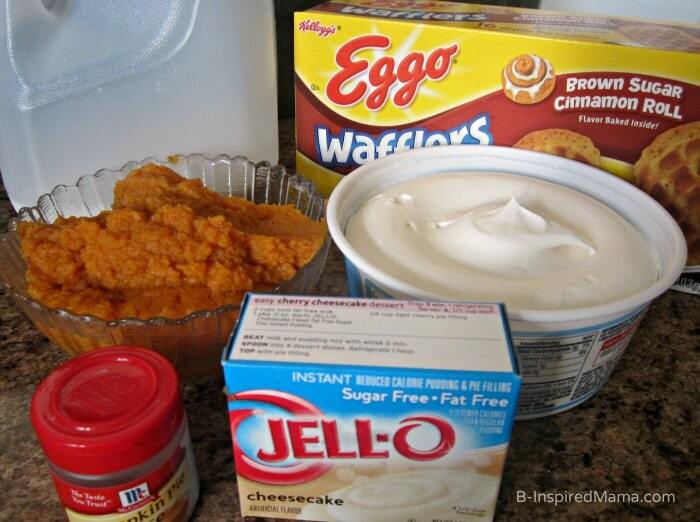 And I don’t claim to be healthy with my recipes… but I do think there are some healthiER ingredients in this version of pumpkin cheesecake with the sugar free pudding mix. You could also use Eggo’s Nutri-Grain Low Fat Whole Wheat Waffles to make it even healthier. Have you ever made pumpkin cheesecake? Do you think you could make it with Eggo Waffles? If you have any creative Eggo Waffle recipes, make sure to enter your Waffle Recipes into The Great Eggo Waffle Off! for your chance to win $5000! Thanks for joining in the party :)! I made this on Monday for my family. They *loved* it! Thanks for an easy, delicious recipe. I LOVE this. My girls and I love all things pumpkin and Eggos…lol. What a great combo. Thanks for sharing and I can’t wait to try it. 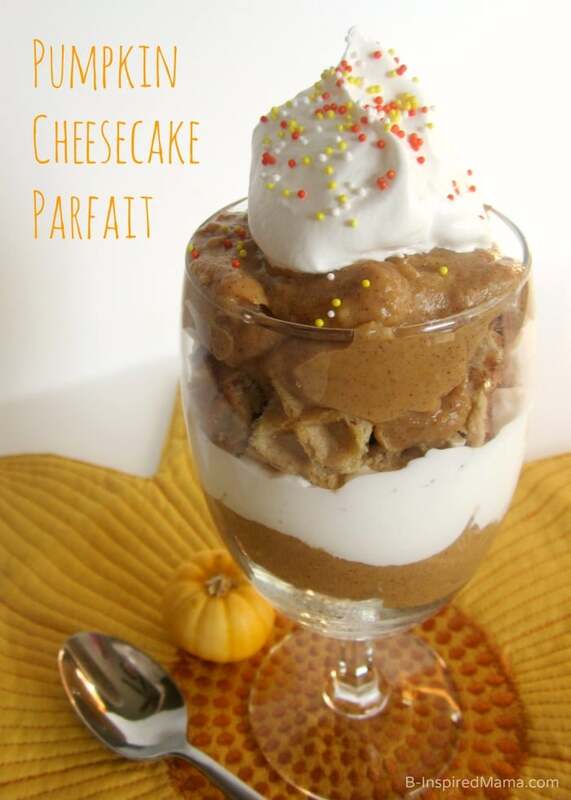 Hi Krissy, What a fun spin on pumpkin parfaits. Waffles! I never would have thought of that!